So cute is that bird and I love the way you used it on your Twofers. 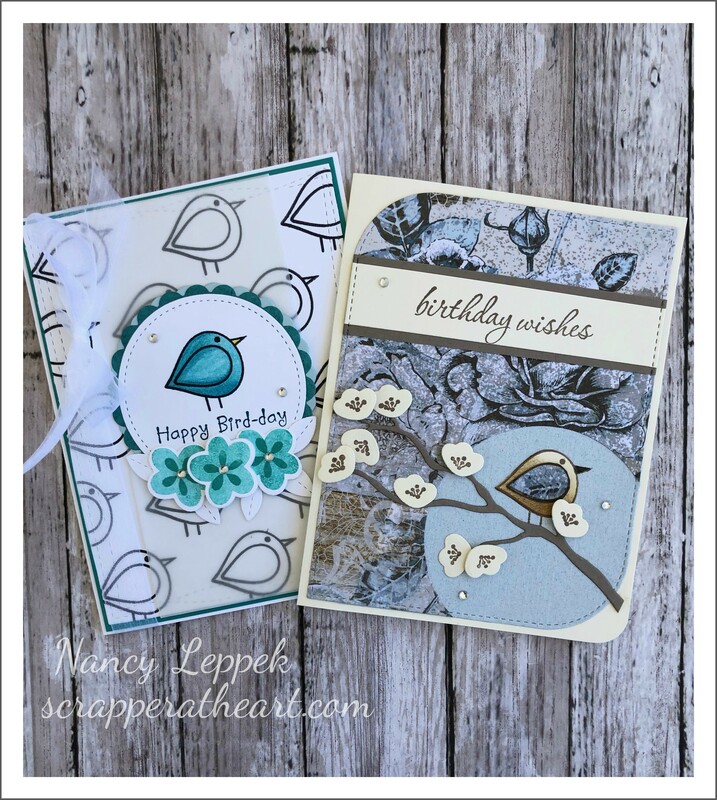 Nancy, love your sweet little spring birdies, so much fun and whimsy in your design for both cards. The flowering branches are perfect for perching on. Both cards brought a smile. Beautifully done! Two too tweet!! 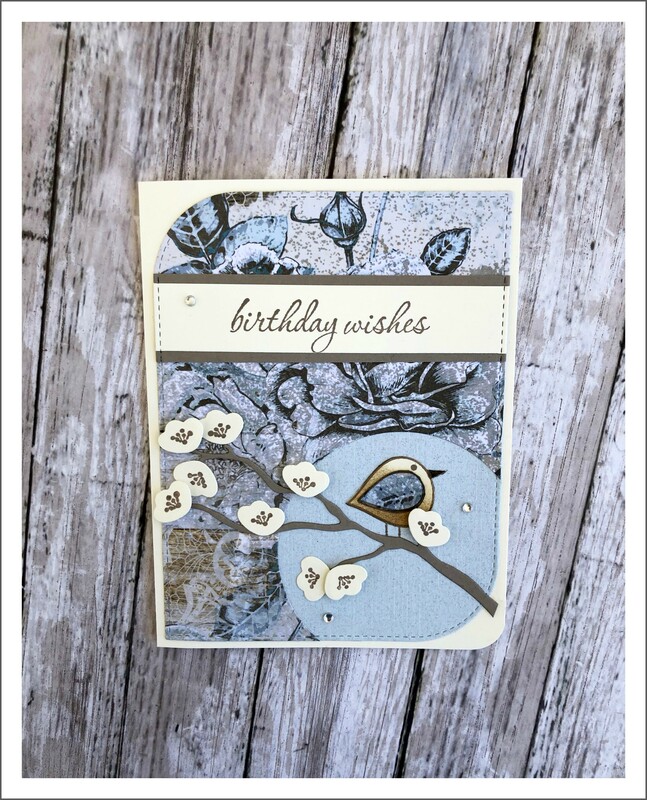 Beautiful designs Nanc’ and your patterned paper has me drooling!! I’m glad you found that bird, Nancy, because your cards are terrific. Whether on a stamped background or DSP they both look right at home. Nancy, these are beautiful! That little bird is just too cute! 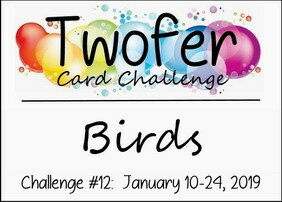 Two wonderful cards for Twofer challenge. 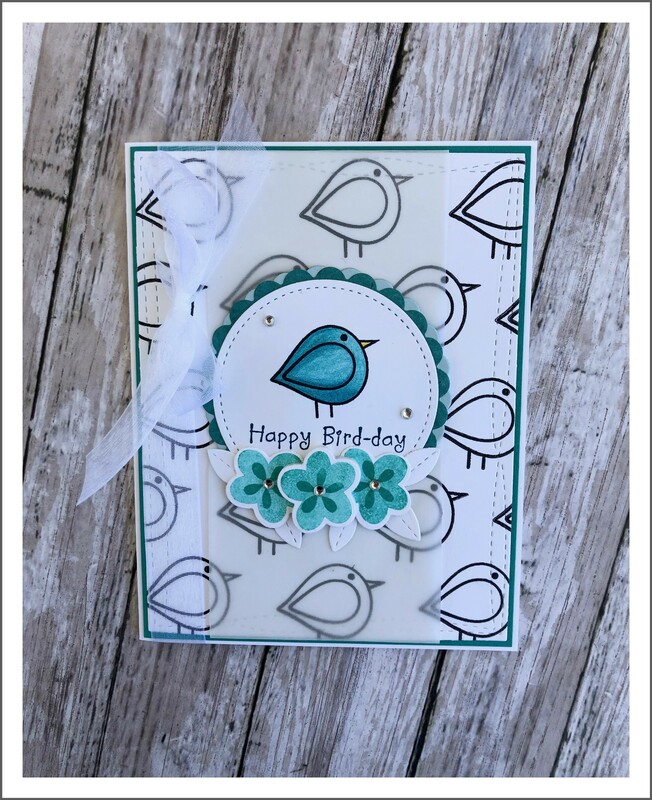 🙂 You’ve created amazing background with sweet birds on first card. Ribbon, fowers and vellum are beautiful details. I like wonderful paper on your second card. Great design.